The MXR M102 Dyna Comp, has become one of the most popular pedal compressors of all time; a classic "go-to" stomp box for guitarists and a s.. 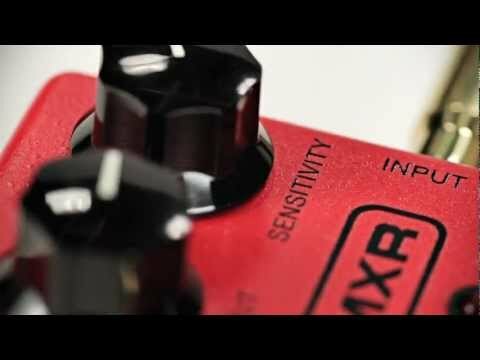 The MXR M102 Dyna Comp, has become one of the most popular pedal compressors of all time; a classic "go-to" stomp box for guitarists and a secret weapon on many stars' pedal boards. A simple, two-knob interface allows for control over output and sensitivity, ensuring your guitar solos and rhythm parts are as consistent and punchy as possible. This no- nonsense pedal's distinct and timeless circuitry produces the dynamic control, percussive attack, and smooth rich sustain heard on countless Pop and Nashville hits.